Need a fun gift idea or want to make your own holiday decorations this year? 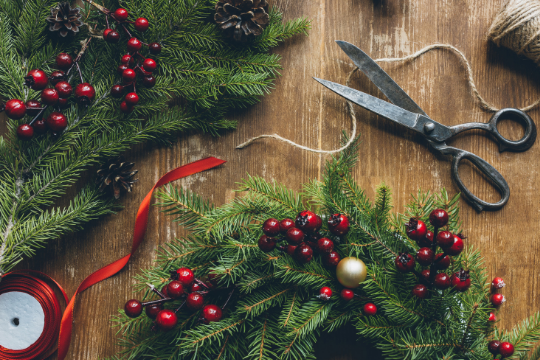 You can make your own wreath with Margitta of Margitta’s Flowers with their Holiday wreath making workshop on Saturday, December 15th from 1pm to 2:30pm. Join us for a fun and informative workshop on how to make and decorate your own beautiful wreath. Instructions and all products will be provided for you, no need to bring your own supplies! Tickets are required for this event.